Not Just a sober house. At Liberation House we have a vested interest in seeing you succeed. We consider each other family and you will be treated accordingly. Our Transitional Living Program offers a quality sober living program designed to provide a multidisciplinary approach to recovery. We strive to inspire personal growth, twelve step education and provide the resources needed for continued recovery. The vast majority of people who utilize sober living as a tool gain long-term sobriety. We never warehouse men. Years of effectively helping men modify their lives can be found in the structure and the genuine feeling of group created by the staff. Liberation House ensures all day, every day support for each client. Our location is GREAT. 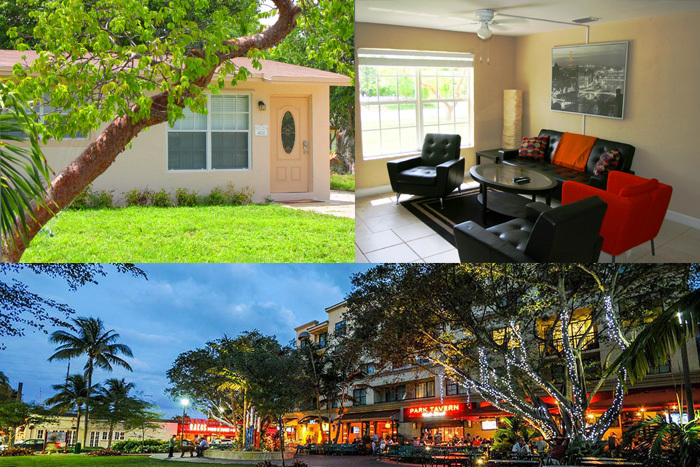 Our structured, sober living residences are located near all of the amenities that South Florida has to offer. Easily walk or bike to your favorite spot on the beach, to great shops, restaurants, athletic gyms & more. Liberation House works hand in hand with some of the leading centers for extended care and taking that extra step in ensuring your success in sobriety. If you feel that you require extended care therapy Liberation House can help place you based on your individual needs. Liberation House takes a 12 step approach to recovery. Always encouraging 12 step meeting, work with a sponsor, and developing sober supports.
" Liberation House was exactly what I needed when I was coming out of treatment. It was a life-changing learning experience. I probably wouldn't have my sobriety now if it wasn't for coming to Liberation House." " I came to Liberation House after a relapse and the learning experience I've had here is one that will continue to guide me in my sobriety." " When I came to Liberation House House I was in the darkest place of my life. Liberation House helped me to get out of the dark place I never want to go back to. They truely do care and saved my life. I would recommend Liberation House to anyone with addiction issues."